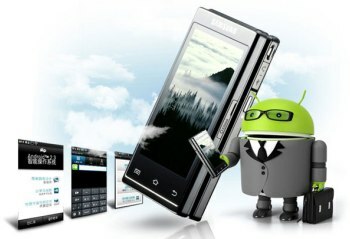 South Korea's Samsung and mobile operator China Telecom announced a new smartphone under the designation SCH-W999. Smartphone Samsung SCH-W999 is running an operating system Android 2.3 and executed in the form "cot" and also has a user interface TouchWiz. The new device is equipped with two Super AMOLED display and 3.5-inch 480 x 800 pixels. At the heart of the smartphone is a dual-core processor Qualcomm MSM8660, which has a frequency of 1.2 GHz. Also in the smartphone has two cameras with a resolution of 5 megapixels and 1.3 megapixels, a slot for memory cards format microSD, two slots for SIM-card module GPS, port USB 2.0. The new device supports Bluetooth 3.0 wireless technology and Wi-Fi. Dimensions Samsung SCH-W999 are 111 x 59 x 17.8 mm and its weight is 206 grams. In China, the new smartphone will go on sale early next 2012 (probably in January), its estimated cost $ 1410 dollars.